Happy April Fools Day! Old Navy is offering a great discount today! 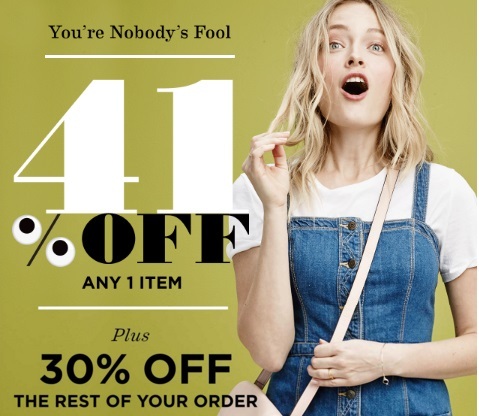 Save 41% off one item of your choosing, plus 30% off the rest of your order! Enter the promo code NOKIDDING at checkout. Offer is valid today only, Friday, April 1, 2016 and online only.